We’d love your help. Let us know what’s wrong with this preview of The Red Virgin by Louise Michel. Louise Michel was born illegitimate in 1830 and became a schoolmistress in Paris. She was involved in radical activities during the twilight of France’s Second Empire, and during the Franco-Prussian War of 1870 and the siege of Paris. She was a leading member of the revolutionary groups controlling Montmarte. Michel emerged as one of the leaders of the insurrection during Louise Michel was born illegitimate in 1830 and became a schoolmistress in Paris. She was involved in radical activities during the twilight of France’s Second Empire, and during the Franco-Prussian War of 1870 and the siege of Paris. She was a leading member of the revolutionary groups controlling Montmarte. Michel emerged as one of the leaders of the insurrection during the Paris Commune of March-May 1871; and French anarchists saw her as martyr and saint – The Red Virgin. When the Versailles government crushed the Commune in May 1871, Michel was sentenced to exile in New Caledonia, until the general amnesty of 1880, when she returned to France and great popular acclaim and support from the working people of the country. Michel was arrested again during a demonstration in Paris in 1883 and sentenced to six years in prison. Pardoned after three years, she continued her speeches and writing, although she spent the greater part of her time from 1890 until her death in 1905 in England in self-imposed exile. 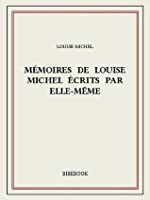 It was during her prison term from 1883 to 1886 that she compiled her Memoires, now available in English. These memoirs offer readers a view of the non-Marxist left and give an in-depth look into the development of the revolutionary spirit. The early chapters treat her childhood, the development of her revolutionary feelings, and her training as a schoolteacher. The next section describes her activities as a schoolteacher in the Haute-Marne and Paris and therefore contains much of interest on education in 19th-century Europe. Her chapters on the siege of Paris, the Commune, and her first trial show those events from the point of view of a major participant. Of particular interest is a chapter on women’s rights, which Michel saw as part of the search for the rights of all people, male and female, and not as a separate struggle. To ask other readers questions about The Red Virgin, please sign up. Another elegant author, upstanding anarchist and inspiration for teaching. She never compromised, followed her heart and never displayed fear or doubt. These have led me to a much lighter and happier life. Her writing is so easy to read it's like the flow or rhythm just pulls you along. Within three pages from her communard chapters: "launching balloons filled with letters to the provinces" (65); "we drank some coffee in the teeth of death" anecdote (66); when Dombrowski holds out his hands to Louise Michel before going to his death ("'It's over,' he told me. 'No, no,' I said to him... But he was right" ). Impossible to not feel romantic about this. The memoirs of a woman on the front lines of the battle for the Paris Commune. Very interesting and somewhat poetic. 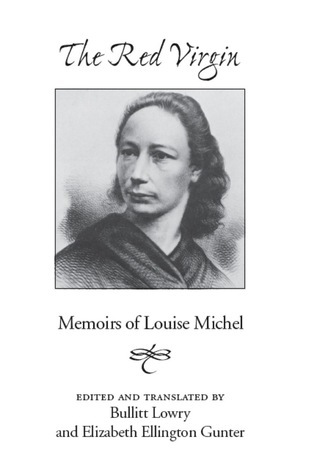 In these memoirs, written mostly while in prison in the 1880s, Louise Michel provides an account of her life as an activist and leader of the French radical left. Haunted by the recent death of her mother, she often writes from a place of gritty despair, proclaiming several times that nothing that happens could possibly hurt her further, and that this only makes her a more-committed servant of the Social Revolution. The Social Revolution, other than a friend Marie and her mother, both dead at th In these memoirs, written mostly while in prison in the 1880s, Louise Michel provides an account of her life as an activist and leader of the French radical left. Haunted by the recent death of her mother, she often writes from a place of gritty despair, proclaiming several times that nothing that happens could possibly hurt her further, and that this only makes her a more-committed servant of the Social Revolution. The Social Revolution, other than a friend Marie and her mother, both dead at the time of writing, is Michel's greatest love. Everything she does she does to help advance the day that this Revolution will come, a day on which all people will be free and power will be, for the first time, truly shared. An emotional anarchist rather than a logical Marxist, her dreams for the future truly feel like dreams. She did not engage with intellectual socialistic theory and did not care for political organization, such as that the Marxists would one day form. To her, any individual who held power, be he a Marxist or an Emperor, would become corrupted. Thus her imagined future does feel imaginary. She believes that it will come about because people are good, and because they will not abide terrific injustices forever, but she has no Marxist formula--for her there will simply come a day when people will throw off their shackles. Until then, she gives speeches and tries to raise money for activists. The earnestness of her belief is perhaps the most refreshing, thing about the memoir. Through her writing, one can feel as she feels. And though these feelings are often full of despair, there is always that glorious hope that resides within her, that all of her contemporary miseries were working toward that fateful day, that Revolution. In this, her beliefs resemble religion. The eschatologies are similar, though hers is based on earthly achievements. With often-poetic language, She illustrates how a little girl appalled by the torture of animals grew into the determined, empathetic woman of her maturity. From her early days, she rankled against authority and injustice. These sections have the most levity, as you get the sense that she is enjoying the recollection of these youthful scenes. After living her young adulthood as a Paris schoolmistress in the working-class neighborhood of Montmartre, she joined with others to take advantage of the revolutionary opportunity given by the devastating Franco-Prussian war, establishing the Paris Commune in 1871. Having been intrigued by the Commune for a while now, this was the part I was most interested in, but her account of it is quite short. Her humility somewhat hampers the informational component of the memoir--though it is evident that she is a major national figure, with friends who lead radical societies and followers that number in the thousands, the memoir does not detail what gained her such status. Louise Michelle was an anarchist, a feminist and an ardent advocate for animal rights in the 18th Century. She was a dedicated teacher throughout her life. When the free city of Paris formed the Commune, she fought bravely to defend it. She was arrested and spent years in exile in New Caledonia. She came back to France to great public acclaim. Her stories are genuinely entertaining and inspirational. In spite of all she endured, she never lost hope or gave up or sold out. L’anarchica Louise Michel (1830-1905) amica e “mito” di Madeleine Pelletier. Louise Michel era chiamata la “vierge rouge” perché aveva scelto di dare la precedenza all’impegno politico e di rinunciare ad avere una vita sentimentale. La verginità di Madeleine e della sua amica Arria Ly mi sembra quindi una scelta ideologica più che un semplice fatto fisico, modulata sulla scia dell’esempio della Michel, ma è difficile rinunciare per sempre all’amore e così la Michel ebbe una relazione con Theophile Ferré, suo compagno di lotta durante la Comune di Parigi e io penso che anche a Madeleine potrebbe essere accaduta la stessa cosa con Gustave Hervé. Louise Michel era nata nel 1830, quindi all’epoca della relazione con Ferrè che era più giovane di lei, aveva intorno ai 40 anni e ugualmente Madeleine era nel 1912-1913 alla soglia dei quarant’anni, essendo nata nel 1874. Anche su Louise come su Madeleine pesava all’epoca il sospetto di aver avuto inoltre delle relazioni che andavano oltre l’amicizia con l’anarchica Natalie Leme e la socialista Paule Minck. All’inizio del suo romanzo parzialmente autobiografico “La femme vierge” Madeleine racconta che la protagonista era rimasta colpita negativamente dai versi un po’ volgari di una canzone popolare che girava per le strade di Parigi e che recitava: “Louise Michel n'est plus demoiselle; / Tant pis pour elle, / C'est Rochefort qui lui a pris / Tant mieux pour lui.» Rochefort è il giornalista Henri Rochefort che nel 1871 era stato deportato in Nuova Caledonia assieme alla Michel e ad altri anarchici. Di recente è anche emerso che la Michel nel 1851 si era innamorata dello scrittore Victor Hugo e aveva avuto da lui una figlia, chiamata Victorine. Considerando che nel 1913-1914 Madeleine resta per settimane senza dare notizie alle sue migliori amiche come Arria Ly e Caroline Kaufmann che, a loro volta, non riuscendo a capire i motivi del suo silenzio, ci speculano sopra passando dall’ipotizzare dei segreti legati all’appartenenza di Madeleine alla massoneria fino ad un’allusione ad una presunta figlia adottiva della stessa Madeleine, io credo invece che dietro questo silenzio Madeleine abbia voluto nascondere la sua relazione con Hervé e che e citando la Michel abbia voluto dire tra le righe ai lettori del proprio romanzo che la storia di Louise Michel era in un certo anche la sua storia. A magnificent work. Louise was such a unique, courageous, eloquent and sensual woman, and her memoirs reflect this. I am grateful she left so much of herself in writing these memoirs, as they help preserve a small element of what made her so special, as well as preserving the memory of many other communards who left much less behind them.